John Harvey Coney was born in June 1820 in Litchfield, NY. He came to Hawaiʻi after participating in the 1848 Mexican-American War. He married Laura Amoy Kekuakapuokalani Ena (she was 17) on November 27, 1860. Besides being Sheriff (and later postmaster,) Coney got into a variety of business interests. An April 22, 1868 Hawaiian Gazette notes, “Wharf at Hilo. The landing of passengers and goods at the Harbor of Hilo has been facilitated by the building of a short wharf from the rocky point at the west end of the beach. It has been made by the enterprise of Mr Coney and Mr Hitchcock”. Laura taught her children not to speak of their aliʻi blood, to forget about high chiefs and chiefesses, and to make their own way in the world because the days of chiefs and chiefesses were gone. In the Māhele of 1848, the property had been grant to High Chiefess Miriam Ke‘ahikuni Kekauōnohi, a granddaughter of Kamehameha I and a wife of Kamehameha II. Upon her death on June 2, 1851, all her property was passed on to her second husband, High Chief Levi Haʻalelea. Levi Haʻalelea’s second wife was Amoe Ululani Ena Haʻalelea, sister of Laura Ena Coney. When Levi Haʻalelea died in 1864, his second wife transferred ownership of the land to her sister’s husband John Coney. In 1889, the Coney’s home, Halelelea, played a minor role during the Wilcox rebellion to restore the rights of the monarchy, two years after the Bayonet Constitution of 1887 left King Kalākaua a mere ﬁgurehead. The insurgents were hunkered down in a bungalow across a narrow lane from the Coney House. The plan was to throw dynamite at the bungalow. Another property that had been granted to Kekauōnohi and subsequently conveyed to Coney at the same time as their home was approximately 41,000-acres of land at Honouliuli. In 1877, Coney sold that land to James Campbell, who soon started Honouliuli Ranch. After drilling Hawaiʻi’s first artesian well (1879,) by 1890 the Ewa Plantation Company was established. 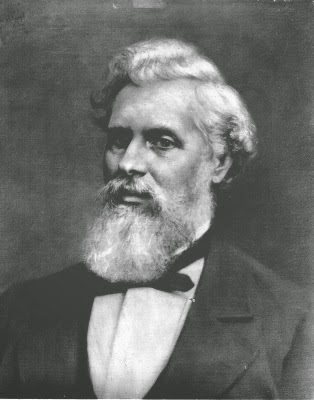 John Harvey Coney died in Honolulu on October 9, 1880, at the age of 60. Laura Ena Coney died in Honolulu on February 24, 1929, at the age of 85. There are two marble plaques in Kawaiahaʻo Church commemorating members of the Coney family, both above the mauka royal pew. Donated by her daughters Kaikilani and Elizabeth, one reads: In Memory of Laura Kekuakapuokalani Coney 1844—1929 Always a devoted member of Kawaiahaʻo Church, she often said, “Ka wahi e nele ai, e haʻawi” Where need is, there give. The image shows John Harvey Coney. In addition, I have added other related images in a folder of like name in the Photos section on my Facebook and Google+ pages.